Injection Packer 1/2" x 3"
The outlet checkvalve will allow immediate removal of the hex shaft without leakage of injected product. Description: This durable packer is designed for the toughest of injection conditions. A simple effective design that has been field tested for years. These packers can be injected with pressures up to 4000psi. Use a 13mm or 1/2" diameter drill hole. 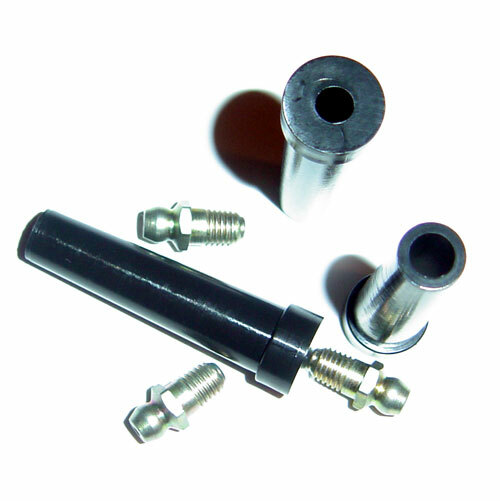 The 1/2" Mechanical packer is the one you will use on the vast majority of projects that require this premium packer. Weak concrete or the need for very high injection pressures with determine the need for this unit. We call it Heavy Duty because its just that. You will need to try very hard to break this one. 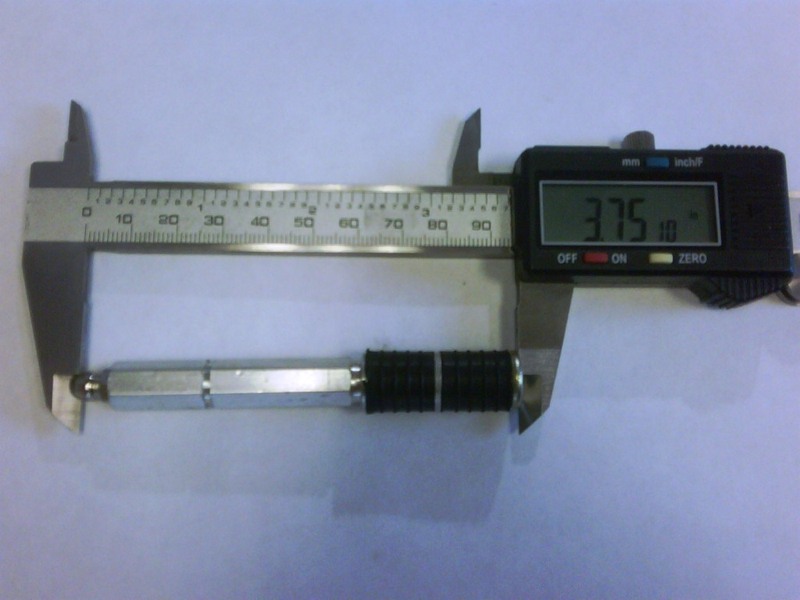 This packer can be lengthened EVEN FARTHER by the addition of more extension pieces which can be purchased seperately. See pictured below. of 100 units per bag, equalling 1000 packers in total. 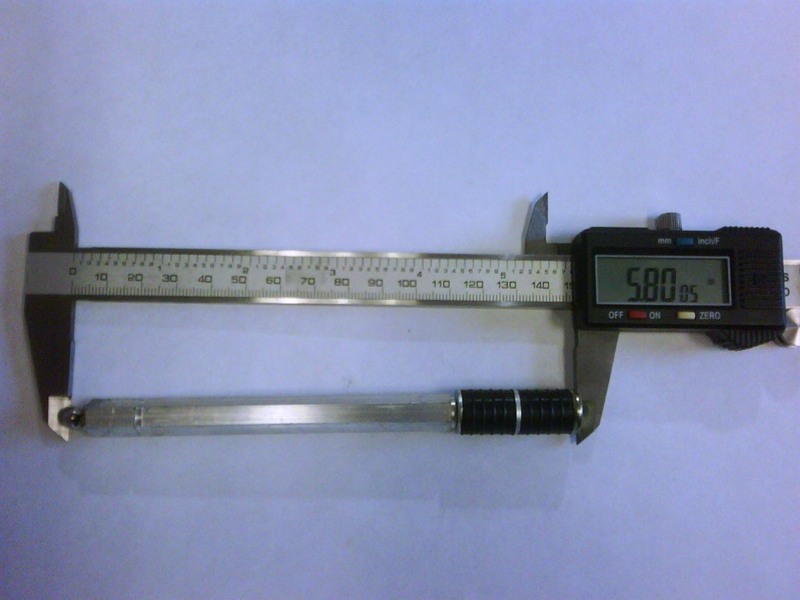 Injection Packer 1/2" x 4"
Description: Don't let the inexpensive price fool you! This durable packer is designed for tough injection conditions. A simple effective design that has been field tested for years. These packers can be injected with pressures up to 4000psi. 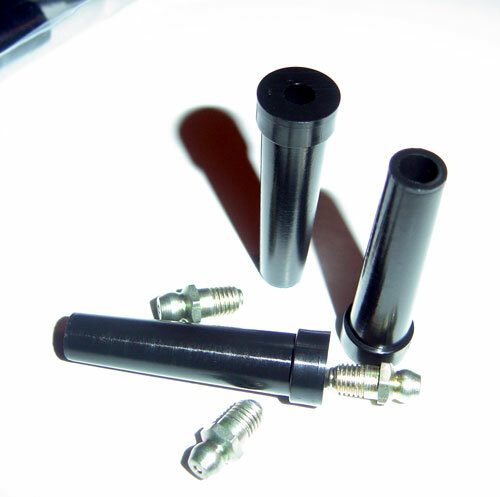 Includes the zerk head for solid connections to your existing injection equipment. This positions the check valve on the inlet side of the packer. 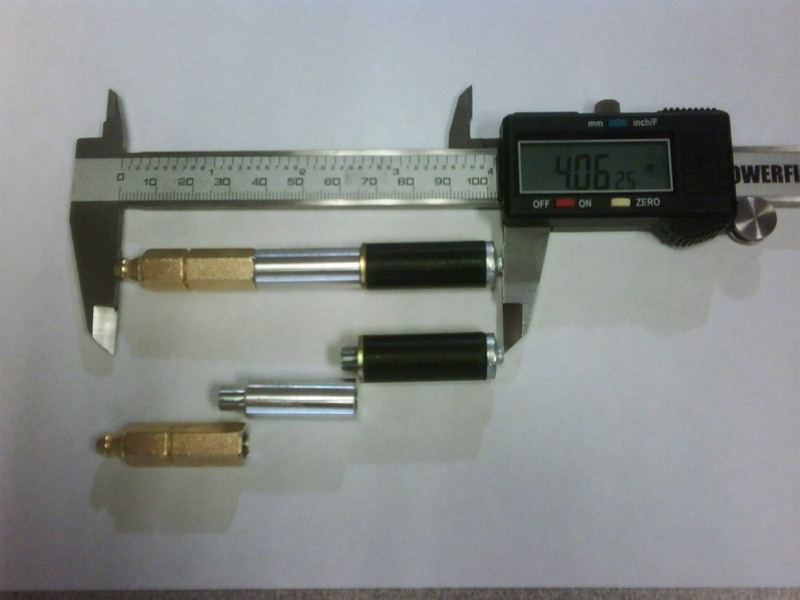 The 1/2" Mechanical packer is the one you will use on the vast majority of projects that require this premium packer. Weak concrete or the need for very high injection pressures with determine the need for this unit. Packaging: (10) Single re-sealable bags of 100 single packers. Injection Packer 1/2" x 6"
Tips: Hint #1: When injecting tight cracks, we have found high success rates by drilling straight into the crack to a depth of 2/3 the thickness of the wall (always measure and tape your drill bit for depth). High pressures can be maintained with virtually no spalding blow-outs (as opposed to angle drilling) and excellent grout penetration. Space the packers every 2.5 - 3 inches and a depth of 5 inches for an 8 inch thick residential wall. Use a low viscosity resin such as Leak-Proof FLEX-LV or Leak-Proof FLEX to assure 100% penetration. Technically speaking, the straight in drilling technique increases the surface area of possible grout penetration into the crack, within the wall. When angle drilling, you can expect grout penetration to occur at the point the drill hole intersects the crack. 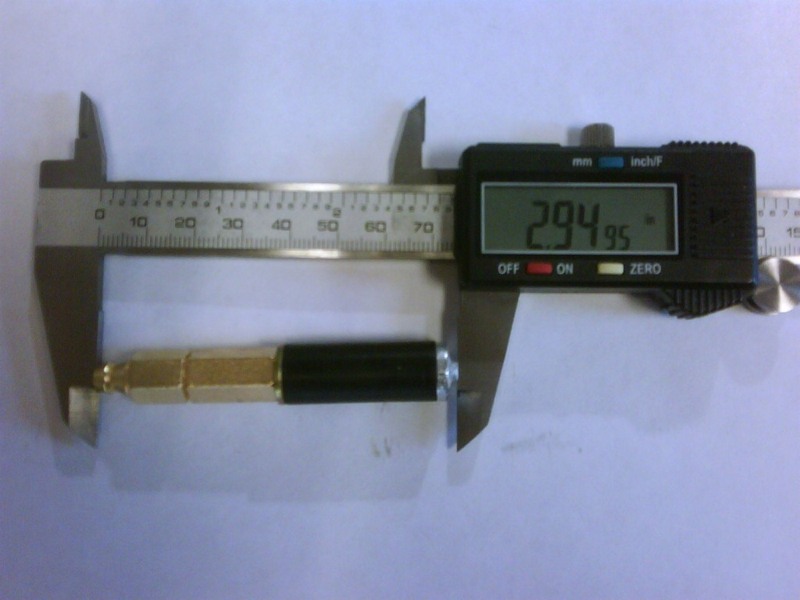 The exposed injectable surface area is just slightly more than the diameter of the drill bit used. Let's say a 3/8" drill bit produces a 1 3/16" (d=3.14 x r) of penetration point per drill hole. 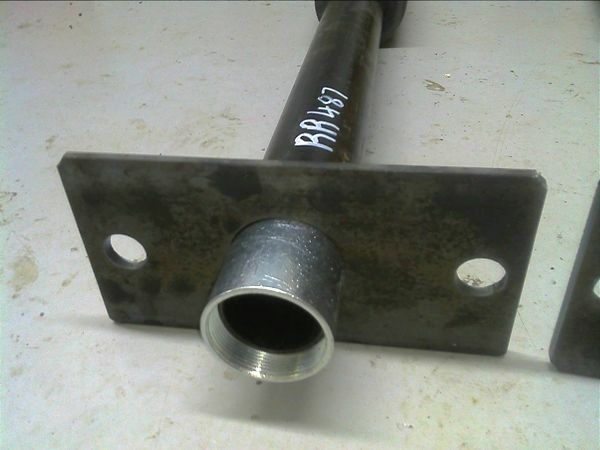 However, the straight in method will create a 10 3/8" penetration point in a 5" deep hole. This is almost a 900% increase in usable penetration point. When it is possible to use this method with the correct grout selection, you can lower pressures and achieve superior results in a shorter time. Where possible, always flood test your work to ensure the crack is completely sealed. Callbacks will hurt your reputation and your wallet. History: The Mechanical (Metal) Injection Packer 1/2" is one in a family of very high quality injection packers that have been used extensively for years. Their designs have been based on extensive industry experience and exacting standards. Warranty: All information and statements are intended for persons having the required skill and know-how and do not relieve the user from verifying the suitability of the information and statements given for a specific purpose prior to use. The information, and in particular, the recommendations relating to the application and end-use of our products, are given in good faith based on River Rock Industries Corp. and/or its manufacturers current knowledge and experience of the products when properly stored, handled and applied under normal conditions, within their shelf life, but accuracy and completeness of said information is not guaranteed and are not to be construed as a warranty either expressed or implied. In practise, the differences in materials, substrates and actual site conditions are such that no warranty in respect of merchantability or of ﬁtness for a particular purpose, nor any liability arising out of any legal relationship whatsoever, can be inferred either from this information, or from any recommendations, or from any other advice offered. Users should always refer to the most recent issue of the Technical Data Sheet and the MSDS for the product concerned, copies of which will be supplied on request or can be accessed in the internet under www.riverrockindustries.com . Neither seller nor manufacturer shall be liable to buyer or any third person for any injury, loss or damage directly or indirectly resulting from use or inability to use this product. The proprietary rights of third parties must be observed. All orders are accepted subject to our current terms of sale and delivery. River Rock Industries Corp. warrants its products to be manufactured free of defects and will replace or, at our option, refund the purchase price of any materials proven to be defective. Seller’s and manufacturer’s sole responsibility shall be to replace that portion of the product of this manufacturer which proves to be defective. This limited warranty is in lieu of any other guarantee, expressed or implied, including warranties of merchantability or fitness for a particular purpose. In no event will River Rock Industries Corp.or its suppliers and manufacturers be liable for incidental or consequential damages nor shall liability, if any, extend beyond the purchase price of the material.